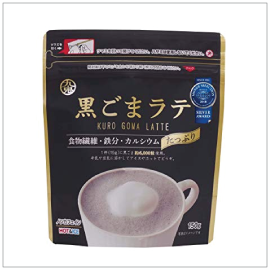 This latte powder features the aromatic flavor of black sesame and gentle taste of domestically-sourced Kinako. Great as drinks or as an ingredient for pudding or ice cream. Direction: mix 2 tablespoons of Latte Powder with 150ml milk or soy milk and enjoy hot or iced.